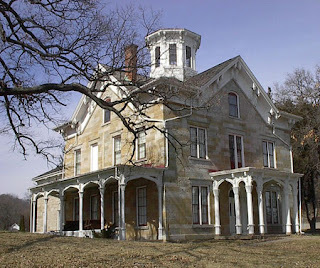 At http://www.hauntedhouses.com you can click on "find real haunted houses" and then click on a state. If you click on Ohio (I did that because thats where I live) the first thing you see is The Collingwood Arts Center. I've been there a few times because it's in walking distance from my house (cool!) and I've never seen anything out of the ordinary. I also saw Dracula the ballet there last week... It was good too. Also, on the hauntedhouses.com website under Ohio, it shows some airplanes at the United States Airforce Museum in Dayton, Ohio (It also says the whole museum is haunted) I've been there, and I didn't hear anything about it being haunted. They should tell people these things. LOL. How fantastic! Thanks for the tip, spring.